Dan Fox is a young farmer who advocates pursuing personal, team and business excellence with the courage to deal with change, think boldly and find new ways of doing things better. Dan Fox is the 2018 winner of the Excellence in Innovation Award. With innovation high on Dan's agenda, he is the highly-regarded recipient of the 2018 Award for Excellence in Innovation, sponsored by Telstra. Dan's vision for his farming future is to sustainably balance the needs of his farm business and meet or exceed community expectations of how they want their food produced. He is a fifth-generation farmer, whose family have been farming in the Marrar district of New South Wales for more than 80 years. Over the last decade, the farm has moved from a traditional, mixed sheep and cropping property to a continuous cropping enterprise. Dan plays an active management role in the farming business but acknowledges that his decisions are guided by the wisdom of his father and grandfather, who have both taken on a mentoring role with him. "I am always looking at and reviewing technology that will help drive on-farm productivity, profitability and efficiency gains and allow our farm and the industry to reduce its carbon footprint," Dan said. 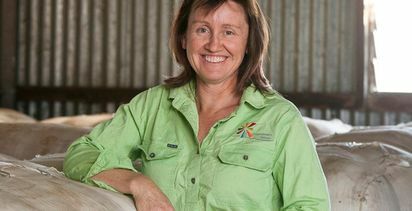 "The family have supported my suggestions and this has allowed me to move the farm in the direction of following regenerative agriculture principles." To do this, Dan has committed to be open to constant learning and search out communities of influence for help and advice. Everything the Fox family does is based on the ethos of observe, measure and respond. "We recently purchased a disc planter which has seen the move to a full zero-till, controlled traffic system to eliminate tillage from the cropping system," he said. "Not only has this meant a higher-quality product for the end consumer and improved soil health on-farm, but both the sowing and harvest processes have been more time and energy efficient." In a quest to further improve the health of their soil, Dan and his family have also made changes to their fertiliser program, currently transitioning from a full artificial fertiliser program using granular products to a more organic based liquid fertiliser program, as well as planting companion crops to add further diversity and health to the soil system. Dan is always looking for diverse and innovative vehicles to engage the community and build better relationships between farmers, government, the wider industry and consumers. 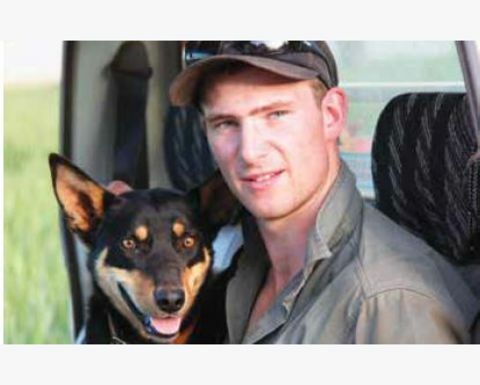 Dan applied for and was selected as a Young Farming Champion to represent the grains industry. The Young Farming Champions are identified youth ambassadors and future influencers working within the agriculture sector, promoting positive images and perceptions of farming. 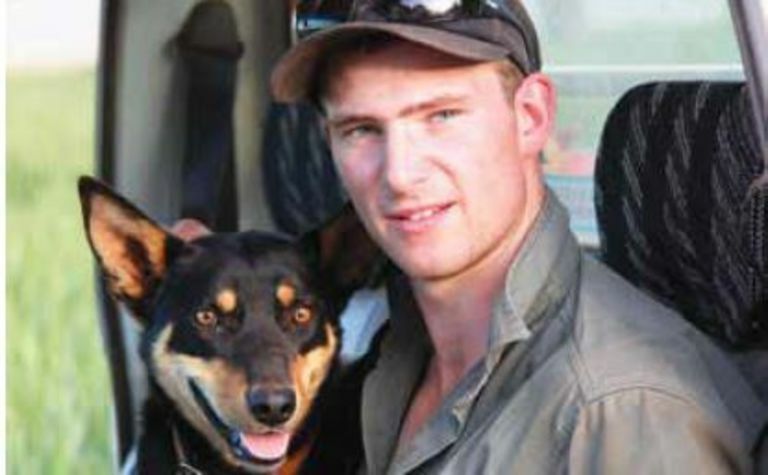 Lynne Strong, founder of Art4Agriculture, said Dan was a young, innovative farmer with the commitment, professionalism, drive and passion to achieve so much good for both the Australian agriculture sector and young people in general. 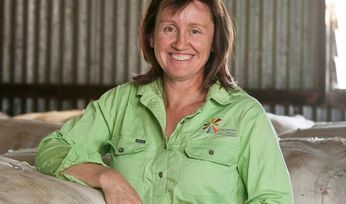 "It cannot be overestimated how important it is to have young people like Daniel delivering the message in a cohesive and coordinated way that agriculture is a modern and evolving industry with career pathways that can provide a sense of achievement and make a positive impact on the world," Lynne said. "Dan is always challenging the process, searching for opportunities to change, grow and improve how things are done." Tim O'Leary, Telstra's Government, Regional Affairs and Sustainability Executive, was impressed by Daniel's commitment to applying innovative techniques on-farm and making fantastic progress in improving and future-proofing his farming business. "It is great to see a next generation family member apply new thinking to the way of doing things and this shows a good understanding of innovation," Tim said. "I applaud Dan, as I think what he's doing will be a blueprint for how the land will be managed for sustainable use into the future."